It has been almost a year since my trip to Turkey, and my writing on those travels has been rather…nonexistent. I’ll start to dip my toes into that with this picture. 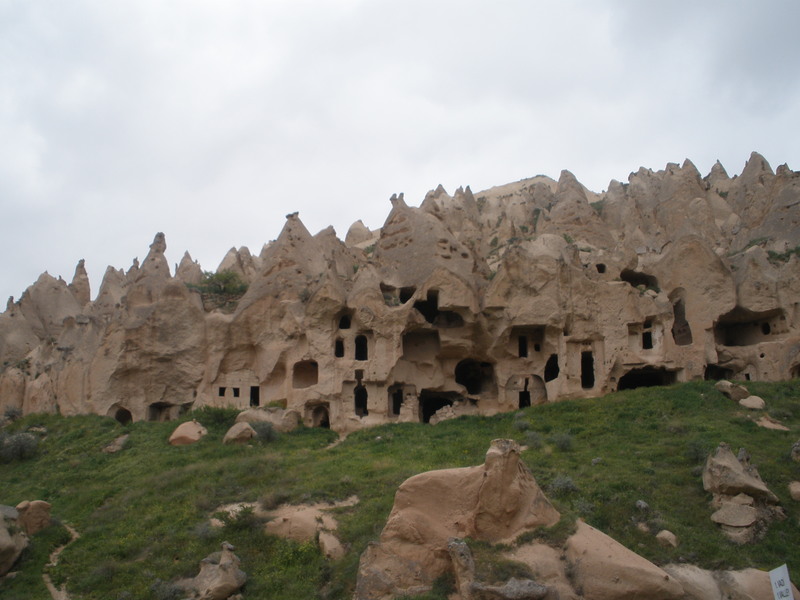 In the Cappadocia region of Turkey are these quite fascinating natural land formations known locally as “fairy chimneys.” Early Christians used this landscape to carve out safe havens from their persecutors. They build networks of houses and churches into the soft stone. Today, most of these are open to the public to explore freely. One of the things that was most interesting to me is that instead of building something, you just would carve it out. So, a table is not built of wood, but carved out of the surroundings. You can also tell from this picture that the weather was not exactly the most beautiful in early May.